To move to the next level Virtual Symmetry need to forge their own identity. 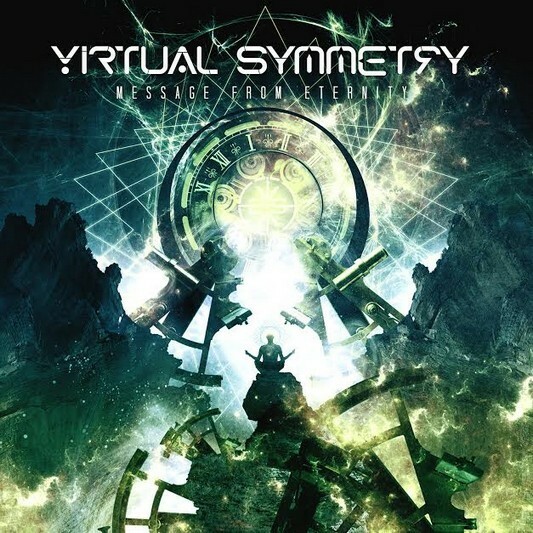 Italian Progressive Metal bands are providing me with a lot of aural pleasure this year, firstly DGM released an album which features in my 2016 Top Five and now Virtual Symmetry release their debut album 'Message From Eternity' which has been on constant rotation in my car for the last couple of weeks. The project started off in 2009 when guitarist Valerio Æsir Villa began composing tracks which ultimately ended up on the album. Album opener 'Darkened Space' is an atmospheric instrumental and reminds me of Jean-Michel Jarre and Vangelis. 'Program Error – We Are The Virus' blows away the cobwebs and is reminiscent of Dream Theater, especially the keyboards; I was pleasantly surprised when I read the bio that Jordan Rudess plays on this track and adds two excellent solos, plus there is a sumptuous guitar solo from Villa. Marco Pastorino, who has played with Secret Sphere, Hate Tyler and Temperence, does a fine imitation of James LaBrie on 'Soul's Reflections'. The track is very melodic and in parts has an AOR feel to it and Pastorino does the song proud. Alessandro Poppale's fine bass work is the introduction to 'Pegasus' and drummer Davide Perpignano adds some interesting fills, whilst keyboardist Mark Bravi does his best to emulate Rudess. Once again, I can't get past the DT comparisons which, I suppose, isn't a bad thing... however, it may be an idea for VS to try to vary their sound slightly. This leads me to 'You'll Never Fall Again'; the intro is close to plagiarism from 'Scenes From A Memory' and surely Villa and company have heard of more bands from the Prog Metal genre than just DT?! Even the guitar solo sounds like John Petrucci. 'Silent Sweetness' is another instrumental and is totally played on piano by Bravi, it is a nice piece but I'm not quite sure it fits in with the rest of the album. Album closer and title track 'Message From Eternity' is a twenty-three minute epic which is split into three parts and actually features an orchestra! Rudess guests again and, surprise, there are elements of DT in there. 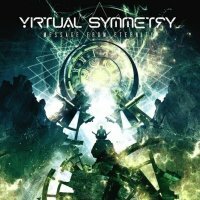 It is an interesting track as is the whole album, however, to move to the next level Virtual Symmetry need to forge their own identity. I will be keeping a keen eye on them though.